Snapper fish marinated in spicy cajun spices and shallow fried until the fish is charred. Clean and wash the fish fillets. Brush each fish fillets with melted butter. 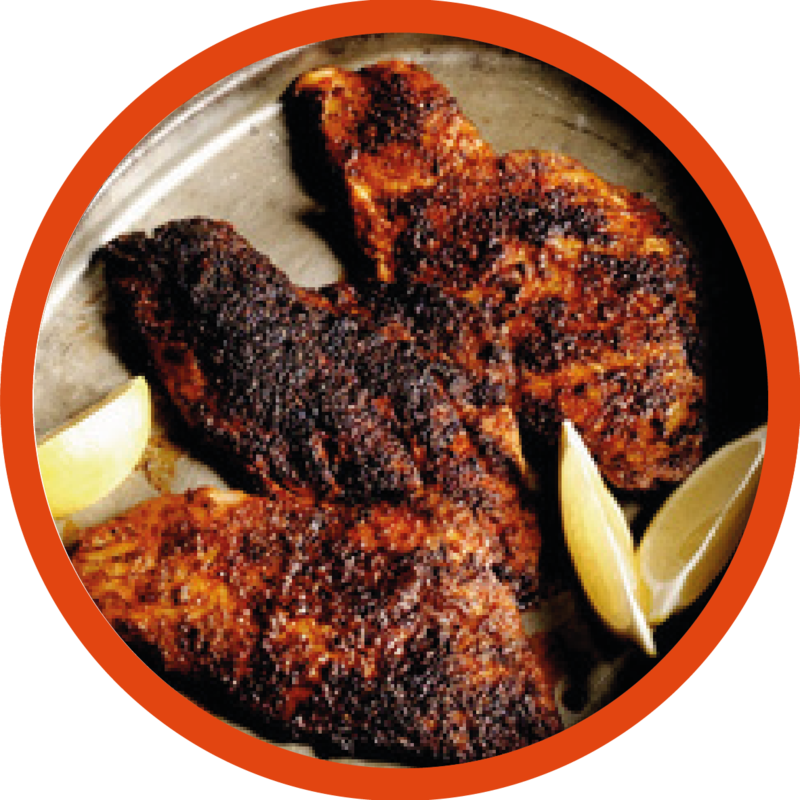 In a large bowl, combine cajun spice mix and paprika, then sprinkle thickly over the fish. Rub all spice mix over the all fillets. In a pan, add some oil for shallow frying. Once the oil is hot, shallow fry all fish fillets until the fish is cooked and flakes easily. Make sure the fish fillets are charred on each side. Drizzle remaining butter over the fish and serve hot with lemon wedges. Mushrooms marinated with garlic and herbs, skewered and barbecued. Mix crushed garlic, olive oil, black pepper powder, thyme, parsley and balsamic vinegar in a large non-metallic bowl. Add salt, if necessary. 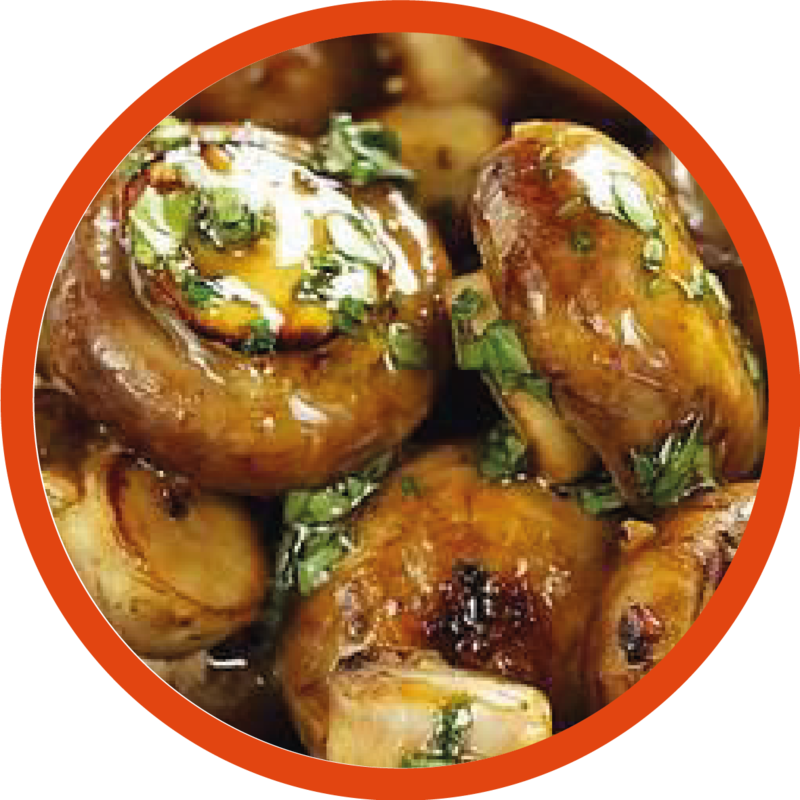 Add mushrooms to the mix and marinate for 10 minutes. Later thread onto skewers. Brush the grill with little oil. Arrange skewers on the grid of the grill and brush with remaining marinade in between. 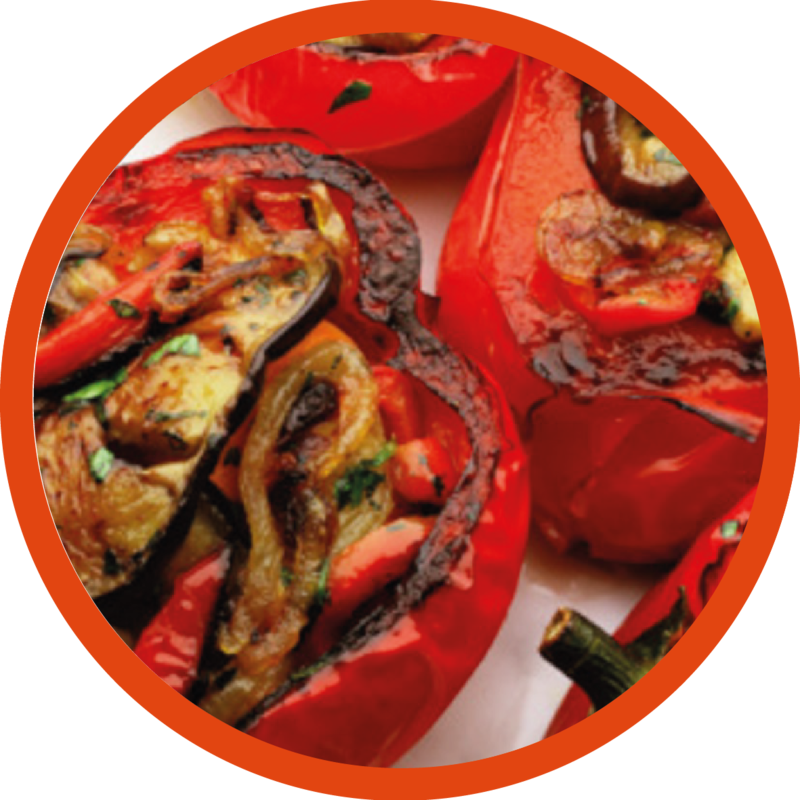 Grill them for 8-10 minutes until mushrooms are tender and charred on all sides. Sprinkle some parsley on top and serve hot.